Speaker cables with four wires provide more flexibility to the user. The main advantage is the newfound ability to “twine” your cords. This action effectively combines two cables of the same thickness to form a single cable. This creates a lower thickness AWG than you would’ve had otherwise. 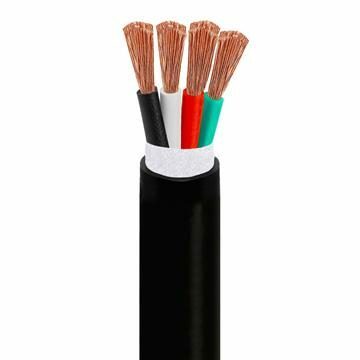 The 4 conductors speaker wire product can be found in clear jacket, bare copper and CL2 rated options. 12, 14, 16 or 18AWG thicknesses. Read professional guides before twining your wires.